At Macarthur Floors and Blinds, we have over 25yrs experience. Our company is family owned and dedicated to making sure the needs of your family are met. We have an extensive range of carpet, timber, laminate, bamboo, vinyl, window furnishings, awnings, outdoor blinds, security doors and flyscreens. Whether it’s for one room, a whole house or for an office, our dedicated friendly staff are always on hand, to assist in making your shopping experience one to remember. Macarthur Floors and Blinds "you'll be blinded by the range and floored by the price"
We passionately believe everyone deserves a gracious living and working environment. With so many floor styles available it can become quite confusing. Whatever needs our clients are looking for, we have the ability to offer options tailored to meet them. We pride ourselves on our industry and product Knowledge and exceptional service. Longevity of flooring is indicative on the use, care and maintenance of each product. No liability is taken by Tony Di Milia Flooring for life expectancy of specified flooring materials. Each project brings unique challenges that require innovative products to meet the demands and scope of work. At Tony Di Milia Flooring we have the expertise and knowledge to guide you in the right direction to achieve successful results. With over 20 years experience we will assess your needs, consider your budget and provide the right texture and style from our extensive selection of offering. We focus on understanding your vision to provide the best solution and ultimately a great result. At Tony Di Milia Flooring we pride ourselves on our products, quality, service and integrity, which promotes client satisfaction, repeat business and business referrals. We are a 1 stop shop. Whether your looking to do your bathroom a bedroom a living room or the whole house, we keep ever thing you need from the kitchen sink to the bath tub, the tiles on the floor to hardwearing carpet for your living room. We have it all. Wollongong timber floors,is a family run business that cares. Previously part owner and founder of Prestige timber floors,and now owner of Wollongong timber floors,Todd Laing has been laying floors in the sydney to nowra region for almost 20 years.And am happy to say that nobody in the Illawarra,has laid as much or has as much experience in the timber installation field. Over this time we know what it takes,to not only do the job right the first time,but to also communicate and work in with clients to achieve customer satisfaction. 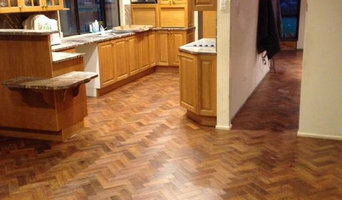 AAA Floormaster Sanding and Polishing offers a professional, personalised service from the moment we answer your call. Our friendly office staff are always willing to answer any questions that you may have regarding your new or existing floor. From the moment you purchase your new property or decide to renovate, AAA Floormaster are there to assist you with any of your timber flooring needs, from the latest colour trends to the most cost effective finishes. Our clients include residential and commercial customers, timber flooring companies, builders and architects. We offer a variety of services such as preparation, liming, staining and polishing of all types of timber flooring for your individual requirements. Bowral Rug Gallery is a proud business Est.1999 in Southern Highlands NSW Australia, Offering genuine Hand Made Persian & oriental rugs, runners and kilims to suit all decor. We also offer professional service for washing, restoration and valuation. 100% premium quality Our products are 100% Australian made and expertly crafted with high quality, strength and durability for all Australian homes 100% commitment From start to finish we are dedicated to taking the worry out of designing your new solid timber top. Our advanced 3D graphic modelling software allows you to view and make changes. 100% confidence Backed with years of experience we can assure you, decisions about your solid timber top are based on expert advise. We take the time to explain to our customers the many different options for species, finishes, and accessories for your solid timber top. We are 100% confident you will love the finish product. We have extensive knowledge and experience in the flooring industry and, we not only have an enormous range of rugs, we also have laminated timber flooring, bamboo flooring and floating timber flooring from the most respected manufacturers in the world. All floors need to be durable - they take more wear and tear than any other piece of your Wollongong, New South Wales house - but this does not mean that you should buy the most hard-wearing. Experienced flooring retailers will know as much as an installer for what product is right for your Wollongong home. From hardwood floors to vinyl flooring and carpet, there are nearly as many surfaces to walk on as there are home styles to build. A pro can help to ensure that your Wollongong, New South Wales home’s floors start off and stay in top form. Hire a Flooring Installation Contractor if your floor troubles are beyond the rug solution. From timber flooring to a laminate flooring installation, a specialist will take care of your sanding, polishing and floor covering needs. Look for a Flooring Installation contractor in Wollongong based on past work and referrals - all available on Houzz. Find a carpeting and flooring professional on Houzz. 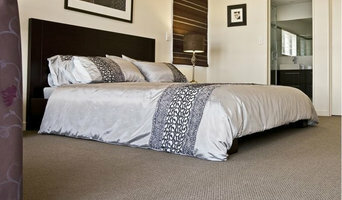 Narrow your search in the Professionals section of the website to Wollongong, New South Wales carpeting and flooring. You can also look through Wollongong, New South Wales photos to find examples of carpeting and flooring that you like, then contact the professional who worked on them.